A two-hour seawatch this morning was notable for a significant westerly passage of Razorbills with 3740 counted along with a few Guillemots. Good numbers of Gannets and Kittiwakes and a Pintail also flew west. 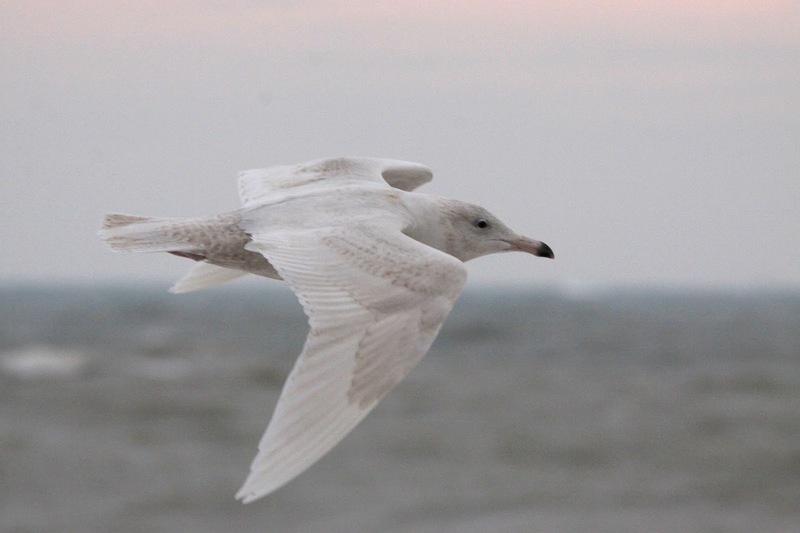 The first-winter Glaucous Gull made several passes along the shoreline as we watched. 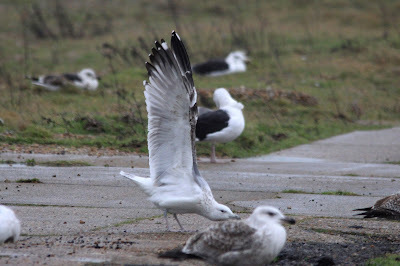 However heavy rain arrived at around 0930hrs and this effectively brought an end to any passage. 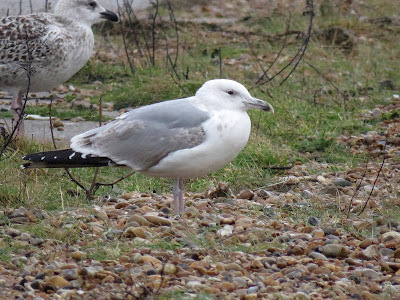 The first-winter Caspian Gull was still showing well and was joined by a new third-winter bird for a few minutes in the afternoon. A check of the flooded areas to the east of the Long Pits produced a Jack Snipe and 14 Common Snipe.